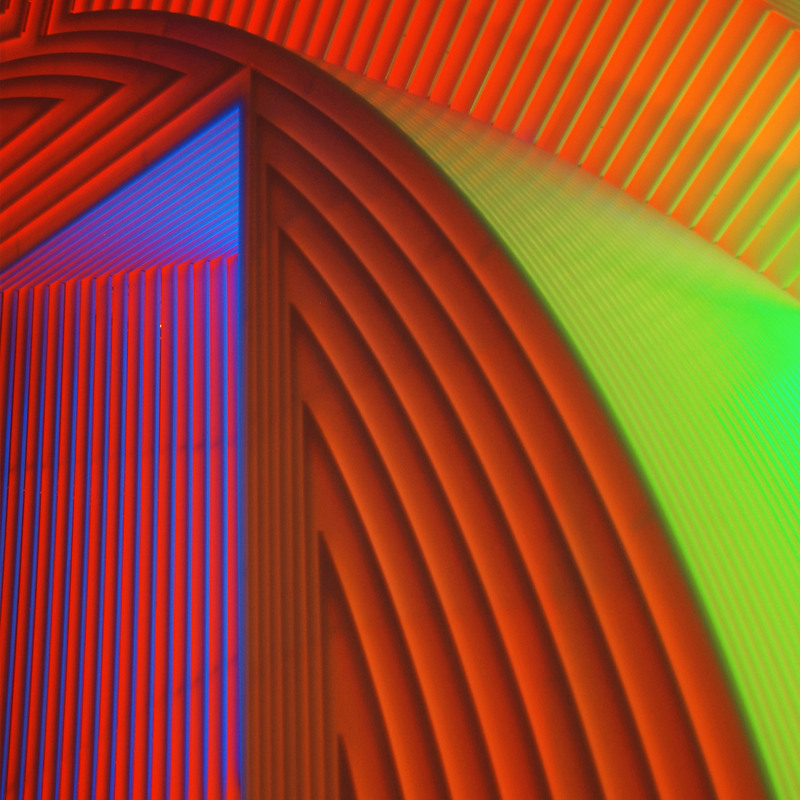 Phillip K Smith III is the architect-turned-artist behind this year's COS installation at Milan design week. Here, he sums up five of his most career-defining projects – from a house in the desert to a display at Coachella. Smith, who grew up in Palm Springs, cites the desert and barren landscapes as being major influences on his work. He studied architecture at Rhode Island School of Design, before moving on to practice as an artist. Speaking to Dezeen ahead of Milan design week, he said how his experience in both areas comes through in his work. "I create art at the scale of architecture," Smith told Dezeen. "I very much exercise my architectural brain with my art." "These large-scale projects require me to be one part artist, one part architect, one part city planner – but the one thing that claws into my mind given my training is a real respect for the site and the context," he continued. Smith conceived Lucid Stead in October 2013. Set in the Californian High Desert, the installation saw a 70-year old shack covered in mirrored strips, to create the illusion that you can see right through the building. "Lucid Stead is about tapping into the quiet and the pace of change of the desert," said Smith at the time. "When you slow down and align yourself with the desert, the project begins to unfold before you. It reveals that it is about light and shadow, reflected light, projected light, and change." For the Coachella festival in 2014, Smith created an installation of shiny cuboids that by day provided a series of mirrors, but by night were transformed into neon towers of light. The freestanding mirrors rang from small blocks to five-metre-high structures that encouraged visitors to "explore ideas of colour theory, optics, perception, scale, and technology". Aperture was created when Smith was an artist in residence at the Palm Springs Art Museum. Made up of 700 pieces individually cut acrylic, the piece employed colourful LEDs, which cast rainbow-hued shades across its surface. "This was the very first piece where I used colour within a work, and really took on the challenge of understanding its effect and power," he said. This piece was conceived for the Desert X festival last year, which took place at Coachella Valley. 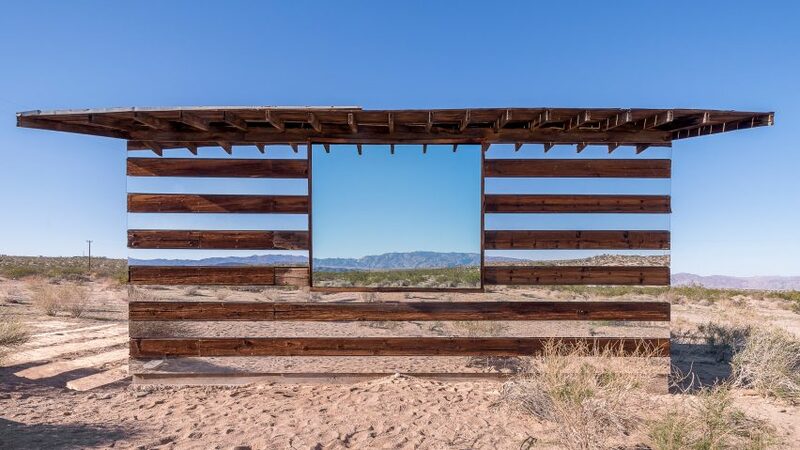 Smith used mirrored poles to reflect the desert landscape. He described the work as being a natural precursor to his COS installation, and it features reflective posts arranged in a ring and angled slightly outward to create a different effect. Created in collaboration with COS for Milan design week, Open Sky sees a faceted wall of mirrors set in the courtyard of Palazzo Isimbardi. Smith used huge plates of mirror-polish stainless steel – a material often found in the designer's work – in a bid to "pull the sky down to the floor".